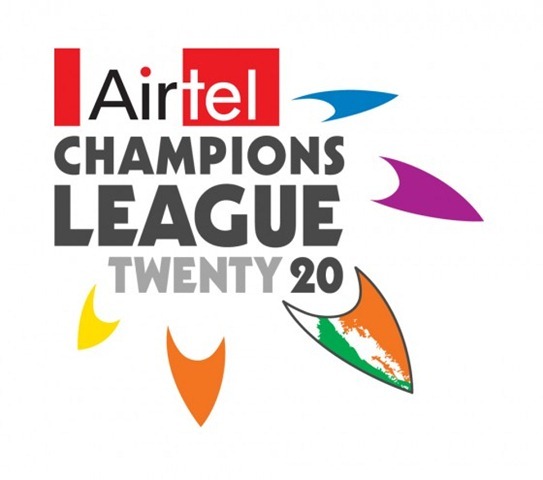 Are you watching the recent “Airtel Champion League” on TV? If ‘YES’ then it’s great, but if ‘NO’ then why? Are you getting bored with too much of Cricket? Do you think that there is an overdose of ‘county’ style cricket? Well recent viewership data for Airtel Champion’s League is in-line with my viewpoint. Too much of everything is bad, IPL is good doesn’t mean that every format copied from ‘IPL-Concept’ will be as good. In fact, it will also degrade the quality of IPL it self. Don’t you think so? Moreover, moving from one format of the game to another at such a fast pace, don’t you think is detrimental for Cricket as a whole? One month we are watching a T-20 match, other month a Test and then a ‘One-day’ series. Is it a game or a joke? People are trying to sell it as a business, no wonder why Cricketers are indulging in fixing habits- Everyone is running behind money! Media plays an important role here- making money is good, but destroying the sole of a ‘legendary game’ for the sake of business is nothing but mean! On the other hand we have ‘Reality’ shows going overboard when it comes to experimentation. This is good as far as they keep people excited, but overdose of same format kills the enthusiasm. Every reality show including KBC, Big Boss, Khatron Ke Khiladi etc is going for multiple seasons. But seeing same thing over and over doesn’t keep us excited, or do they? Both Big Boss-4 and KBC-4 will be launched during same period on TV with KBC-4 over Sony and Big Boss-4 over Colors. Both will have top Bollywood celebrities (Amitabh and Salman) fighting for viewership over idiot Box. 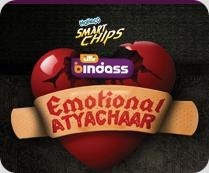 The format has become predictive now- New series of hit shows with another TOP Bollywood celebrity. 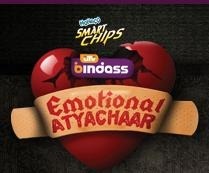 Recent reporting against “Emotional Atyachaar” by Hindustan Times proves that such shows are not genuine and masala is added just to lure the viewers. After watching few episodes of “Khatron Ke Khiladi-3”, I was sure of some rigging there too. After all putting your face inside a stinking tub full of Crabs and shi* can’t be counted as an act of bravery! It’s yuk! I’m very well sure that most of these reality shows are fixed, but unless people know about it, they will keep on enjoying! Stop! Don’t you think there is a similarity between Cricket and Reality Shows here? Both are being SOLD to viewers and both have huge chances of being FIXED! What’s your take on this? For your information I am watching cricket since the times Gavaskar broke the record of Sobers (Now you may be wondering who is Gavaskar and who is Sobers and what record. Well Keep wondering) I have seen the transformation cricket has seen as a sport and the degeneration into tamasha during Mody times. For you may be there is no difference between a Bollywood and 3 hr cricket. But there is a lot of other things there to cricket than pure economics. Ans I understand you are a product of pure herd mentality needed as a shield by the likes of Mody and co mafia. Please read my above comments carefully and fully before talking with your bottom. I am not against cricket in a 20-20 over format. But the creation of 8 specific teams based on ?? guidelines I was wondering. If you read above you can see that Ranji teams should play cricket in any format. Be it Ranji Trophy, Doedhar Trophy or any format. English teams do that. Australian teams do that. Why not in India? Try to understand what I said above. This is a forum for discussion unlike rediff where any 2 bit nobodies can write any kind of comment on any topic. Be selective. Wats the point of scratching each others backs everytime. Having some spice in conversation always reflects the mood of the person. Im a die hard capitalist and nationalist .This being a business blog im even more frustrated cause atleast us the products of pro reform India will understand that Socialist policies and the real herd Mentality(ooohh i love the poor and im not like the corrupt wealthy) attitude has disgraced this nation for 60 years. Profit is a good word – if Lalit Modi had received 40 Million dollars as compensation for services as a part of signed agreement it would have been really worthwhile cause he created one of the biggest brands in India.As i said try to understand the economy of sports im a cricket lover as well but for the amount of time and money we spend on cricket should atleast create jobs for Indians rather than funding other countries. IPL as i said has given a boost to the merchandising and the services sector in India for a change in line with the American sport economy. The CWG is a perfect example that proves my earlier comment that all sports facilities should be constructed by the private sector with the right to collect ticket revenue in which case they basically own the stadium since their revenue depends on filled stadiums they will automatically create world class facilities within the budget and time. P.S : No need to take it personal but for 60 years we have seen the anarchy of socialist policies Privatization should be the buzzword today and IPL is just one of them. I watch neither of them & even bored of listen & over hearing talks of collegues….. & IPL is indecent show off money in a country where still 40%+ cannot able to make it to earn bread for one time and in a country hard earn taxpayers money 24 thousand (thrice the budget) crores goes into vein for just organizing FAIL CWG. Economic sense doesn’t help much and Cricket is not the only solution for Indian Development. I agree to your viewpoint Ankit. Economics can’t explain corruption- be it behind IPL or CWG. At the end of the day they only help rich people getting richer by siphoning off tax-payers white money. As usual another Indian with no economic sense. I’m very happy that CLt20 is not attracting eyeballs nor did the Football world cup. But IPL should be supported in every possible way by us since all the money and energy we Indians have spent on cricket in the past 10 years IPL is the only means that has really contributed to Indians rather than the international matches which mainly goes into the coffers of ECB,Cricket Australia etc.Infact India has to be the major contributor to the South African tourist economy than any other country. United States has managed to create glitzy domestic leagues in every popular sport of their country and has worked to completely undermine the international matches so that all the advt money on these sports helps Americans rather than an international sports body. Altaf – greedy money to BCCI illegitimate children of Modi- it is only because of idiots like you that Indian cricket has basically donated 80 % of its cricket revenues to other country’s sports bodies like Cricket Australia until IPL came around to help keep it within India. It is only after the private money which has flowed to cricket through IPL that all .the cricket stadiums are looking the way it should have been Give any cricket stadium to private sector with the right to receive ticket revenue it will automatically create classy stadiums. We should try to create the best and profitable domestic leagues like the IPL in the United states model so that the entire cricket economy helps create jobs for Indians primarily in the services sector,merchandising,sportswear etc. Altaf This is a business blog i hope that only people with a little bit of business sense will be allowed to comment here and it is only because of Indians like you that the FIFA world cup and the Victorian team in the CL T20 has managed to get huge Indian sponsorships from M&M,Ultra Tech etc. I appreciate your high economic sense, and everyone is allowed to post their POV here. But calling a fellow trak.in reader an ‘Idiot’ speaks much about ur ‘etiquette’ sense. I appreciate your comprehensive comment :). And you’re bang on! Perhaps you put my thoughts in better words. keep coming with those, thanks! I neither watch reality shows nor CLT20 for different reasons. Reality shows are like WWF. They are fake, predetermined just to satisfy the negetive emotions of general public. Allsong / dance compititions are fake just to loot public money in form of sending sms to support regional contestents. In teh recently concluded event, a guy from andhra got selected. There was a lot of tamasha in andhra. Every one was canvassing to send max sms to maximise the winning chances of our Andhra boy. Common!! is it the basis for selection? Also see the crowds infront of gates of these contests. Youngsters from all walks of life gather there just to give it a shot. I feel pity to see even kids who are doing MBBS, Engineering trying to give it a shot. The corwd looks as if some destitutes gather infront of a jamindar throwing alms. They want to grab any free morsel irrespective of their auqaat. In KBC every one wins till 25 lakhs stage then looses. Just not to be repititive, once in a while a guy looses in first round. Just when they think ratings are falling one guy goes on till crore mark. Also while reading this think of Slum Dog Millionaire. I mean is fixing not possible. I consider IPL games are illegitimate children of Mody and unlimited greed of BCCI. 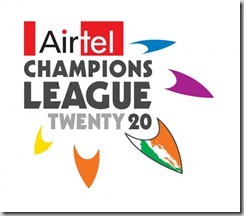 CLT20 is a further extension of IPL. Then select the best teams from each country and conduct CLT20. This is proper format. Not Mody decides that let there be 8 teams based on auctions and he again decides let there be two more teams. Who the hell is he to decide how many teams and on what grounds?